STEP 2- FLIPGRID- Share your clues and see if others can guess your state! STEP1 - MAKE A COPY of this DOC "Holocaust Exploration"
and complete the questions on the Hyperdoc. ​You will share with Mrs. Rush (angie.rush) when you are finished. You will each select a state and create a digital road trip! AND RESEARCH using Culture Grams States Edition! garretthome is user name and password! Today we will review the purpose of Totem Poles and their symbolic meaning. ​We will apply what we have learned in order to create our own Family Totem Pole. WONDEROPOLIS - What is a TOTEM POLE? 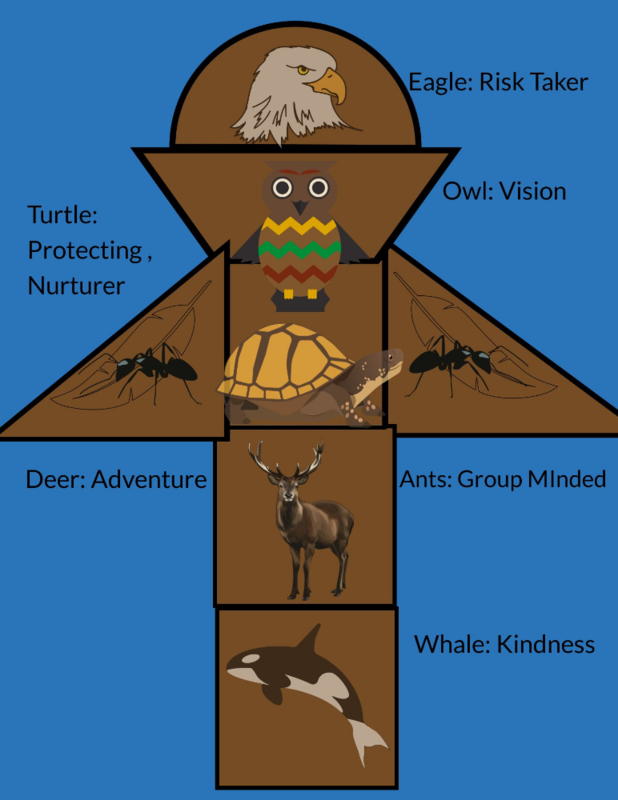 You will create a TOTEM POLE using Google Drawing. Native American Totem Poles include symbols that are sacred to their tribe. What symbols would you put on your personal Totem Pole? Choose symbols that represent character traits that are important to you. 1. Use Google Drawing and create a totem pole. Add pictures and fill in your totem pole with items. 2. Label each item you choose with the character trait it represents. 3. Caption and explain why you chose those items to represent yourself. ​* HERE is the link to the Google Drawing. Please make your own copy. ​Digital Road Trip- You will each select a state and create a digital road trip! BIOGRAPHY PROJECT with Mrs. Rush! Join a new club here at NMS! Calling all Environmentalists and Animal-lovers! ​See Mrs. Schilpp for more information! 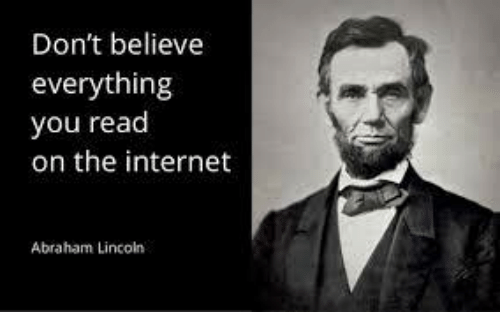 Students will analyze the problems and potential consequences associated with the spread of fake news.Students will identify and evaluate ways to avoid fake news in social and academic settings. What happens when fake news spreads? What actions can I take to verify news stories, photographs and other sources of online information? ​Fake news is no longer a matter of the occasional hoax. There is growing evidence that fake news has the power to shape public opinion. As more Americans get their news online, it is increasingly vital that students know how to verify sources and spot fake news or images, which often appear indistinguishable from a reliable source. 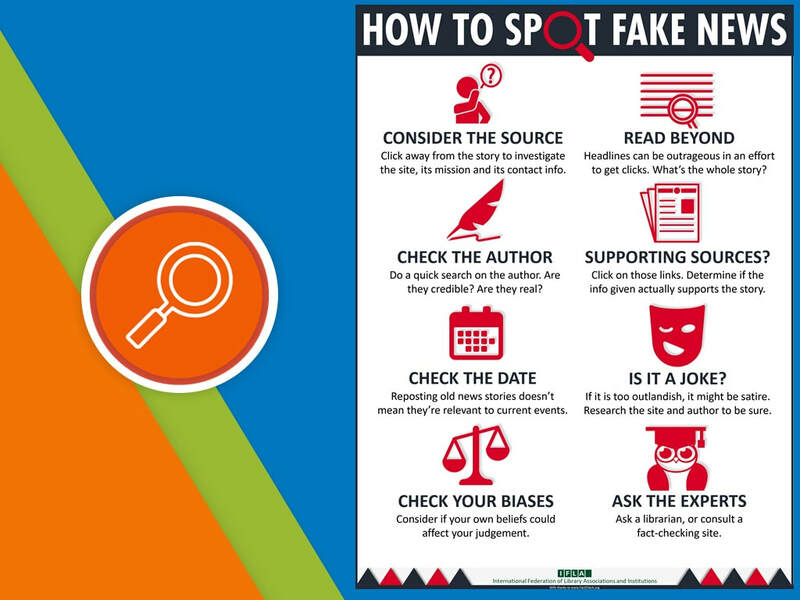 This lesson asks students to analyze the consequences of fake news and build the skills needed to question and verify what they view online. ​proteus anguinus-- REAL OR FAKE? Today we will add LEGO Travel Buddy to our Slide Show (ebook) and complete the adventure! We will view pictures from PERU- Mrs. Schilpp's LEGO Travel Buddy! use your presentation about the 5 themes of geography to create 10 clues about where we live! Step 3- Use this FLIPGRID to to share your clues with a MYSTERY class! Where has LEGO Travel Buddy been? Watch our students share information about where we live! A school library from a secret location will be sending you clues soon! Students can log in to the Flipgrid below using their school Google account. Research where the sport's team is located. Google the team name, keyword stadium. Copy (Contol+c) the address. Paste (Control+v) for to find the coordinates. 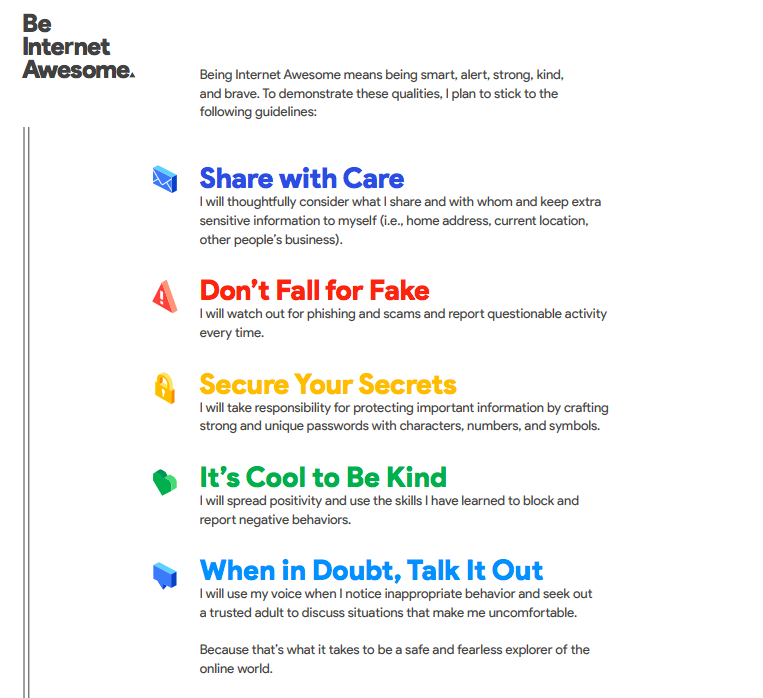 ​The Internet is a powerful amplifier that can be used to spread positivity or negativity. Kids can take the high road by applying the concept of “treat others as you would like to be treated” to their actions online, creating positive impact for others and disempowering bullying behavior. ​Please complete this google form! 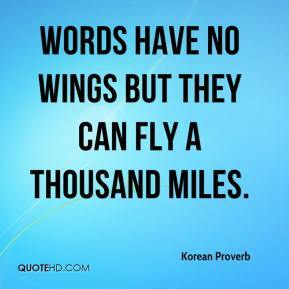 Go to this FLIPGRID and record your POETRY! 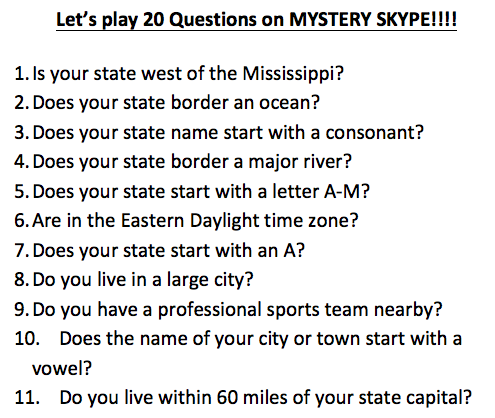 STEP 1- View the FLIPGRID below and take notes on the clues shared by our MYSTERY School! What state do they live in? What is their favorite vacation spot? STEP 2- ﻿MAKE A COPY OF THIS DIGITAL ROAD TRIP﻿! View the videos and add information in the Doc to create your digital road trip! ​*Did you research your animal? *Did you create a PICTURE or PROTOTYPE of your solution? DAY 2-Maddie has a disease called severe combined immunodeficiency (SCID). In small groups, research the disease and to include the following: a definition of the disease, the disease’s symptoms, the precautions needed to protect the patient, relevant statistics about its frequency and prognosis, and a possible cure for the disease. Video from Australia Book Club! #1Today we will use a NEARPOD to learn more about Location: Position on the Earth's Surface (Absolute/Relative) Click on the NEARPOD LINK and enter the code I share on the board. Please use your FIRST and LAST Name and submit. #2 Handout Research where the sport's team is located. Google the team name, keyword stadium. "Your wings already exist all you have to do is fly"
"A heart without dreams is like a bird without feathers"
NEW Resources for you with the RUTH ENLOW Library Card! Today we will create a video about Garrett County in order to share with our PenPal in London! ​Add your city and state to determine the latitude and longitude coordinates. Maryland has five regions. They are the Western Region, Capital Region, Central Region, Southern Region and the Eastern Shore Region. Western Maryland is a great place for outdoor adventures. You can climb Maryland's highest mountain, swim in numerous lakes, hike the Appalachian Trail, brave white-water rapids or enjoy all kinds of winter sports from skiing to ice fishing. The three counties of Western Maryland, where fall foliage arrives first and winter usually stays the longest, were Maryland's last frontier. One of the most important events in Western Maryland in the early 1800s was the opening of the National Road, the first highway built with federal funds. Later, the Baltimore & Ohio Railroad and the Chesapeake & Ohio Canal carried people and goods to and from the western states. This part of the state is in the Appalachian Mountain region, where apples, peaches, maple syrup, honey and lumber are abundant. Garrett County, the westernmost county in the state, was the last part of Maryland to be settled. The first settlers arrived in 1764, and were mostly English, German and Irish settlers from Pennsylvania. In 1872, the county was founded and named for B&O Railroad president John Work Garrett because of the importance of the railroad in county history. This frontier region is where you'll find Backbone Mountain, the highest mountain in the state, which is 3,360 feet tall. Near the town of McHenry is Deep Creek Lake, the state's largest manmade lake, and Wisp, a popular ski resort. All over the county, there are state parks and forests with beautiful foliage, waterfalls and lakes for travelers to explore. Nature isn't the only thing you'll find in Garrett County. Oakland, the county seat, was once a resort area and a retreat for many famous Americans, including Thomas Edison, Henry Ford, Harvey Firestone and William Jennings Bryant. Also in Oakland are the old B&O Railroad Station and the Garrett County Historical Museum. Please include at least 3 themes of Geography in your postcard! are all the titles, names are capitalized? include a closing at the end -- Sincerely, Your pen pal, etc? include 3 themes of geography? ​add a picture that showcases the information you shared about Garrett County? WHAT MAKE YOU A WONDER? Finished? Please scroll down and access your Reading Counts or search for a book! Would you like to earn 1 point? You can view the video below. Add your own MEDIA to our SEESAW Classroom!